Despite its terrible reviews, your favorite turtles in a half shell are returning for yet another Michael Bay-produced film. Teenage Mutant Ninja Turtles 2 is in its post-production phase and the cast is is being rounded out at the moment. The sequel looks to welcome a new addition to the franchise in actor Brian Tee, who take on the role of Shredder. 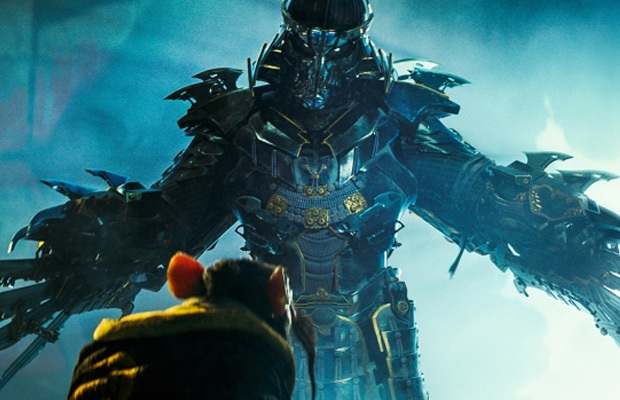 Previously, Shredder was played by Tohoru Masamune in 2014. Tee will follow in not only Tohoru Masamune’s footsteps, but that of James Saito and the late James Avery. Luckily this should be a walk in the park, according to A.V Club because the actor has been in the position as a villain before. He was the adversary of Wolverine in James Marigold’s The Wolverine. He has also played a Hydra agent in Marvel’s Agents of S.H.I.E.L.D and has an upcoming role in Jurassic World. Tee will be joined by Steven Amell (Casey Jones) and Tyler Perry (Baxter Stockman). The turtles are scheduled for return June 3, 2016.